Art Prescription: So you guys know I love watercolor! 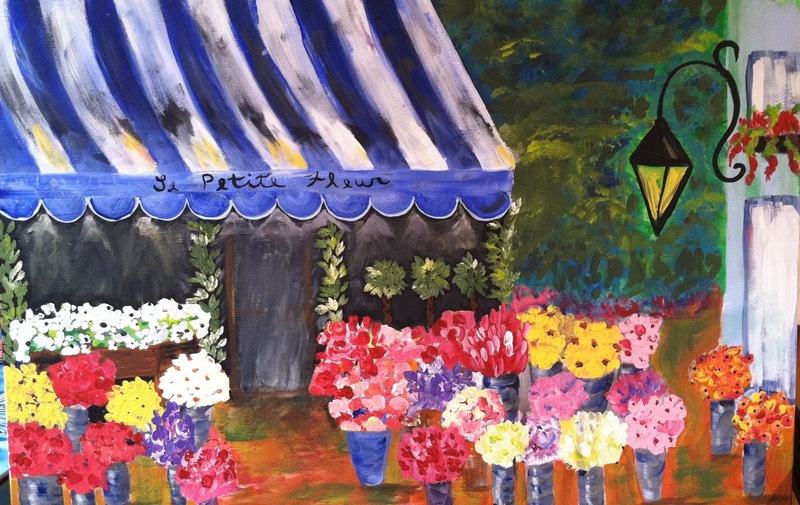 And I got this commission for a “French floral shop” in acrylic on canvas. Of course I can paint that. Well it’s been a sweet challenge, a large painting with lots of detail. Here it is after painting over and restarting multiple times.